The foodproof Listeria monocytogenes Detection Kit is based on 5’Nuclease or hybridization probes, and provides fast, reliable detection of the pathogenic Listeria species L. monocytogenes. 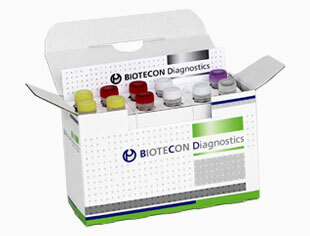 The foodproof Listeria monocytogenes Detection Kits are validated and certified by AOAC-RI and NordVal. Listeria monocytogenes are rod-shaped, Gram-positive, pathogenic bacteria that cause human and animal listeriosis as well as other diseases. Listeria monocytogenes may cause meningitis, encephalitis, granulomas, miscarriages and premature births as well as other conditions. Infection is commonly caused by ingestion of contaminated food. For all kind of food.